The Monitor, maybe one of the most overlooked parts of the computing experience. It’s a little like the tires on your car, or your Network Router…. Things that are so important yet tend to be ignored. The times are changing though. With CPU and GPU performance increases slowly stabilizing. People are looking for more things to upgrade. First, it was Hard Drives and now it’s monitors. Like the tires on your car, the monitor is your primary interface for gauging the video performance of your machine, no matter how fast your GPU, how high the DPI is on your weighted mouse or how clicky those mechanical keys are, without a good monitor all those things are useless. I was ecstatic the first time I upgraded to an XGA CRT Monitor. I felt that I was on the cutting edge of display technology in a time when Doom and UT99 was the rage the CRT was king. The next major jump in display tech for me was to an LCD panel, not LED by the way and still using the same 1024×768 resolution of my then defunct CRT. It was very compact though at 15 inches and very light. I could toss it in a backpack and take my gaming on the road with no problems whatsoever. Fast forward a few years and 1080P was the thing to have. I eventually crossed that threshold and that’s where I’ve been for the last few years adding a few extra monitors along the way. 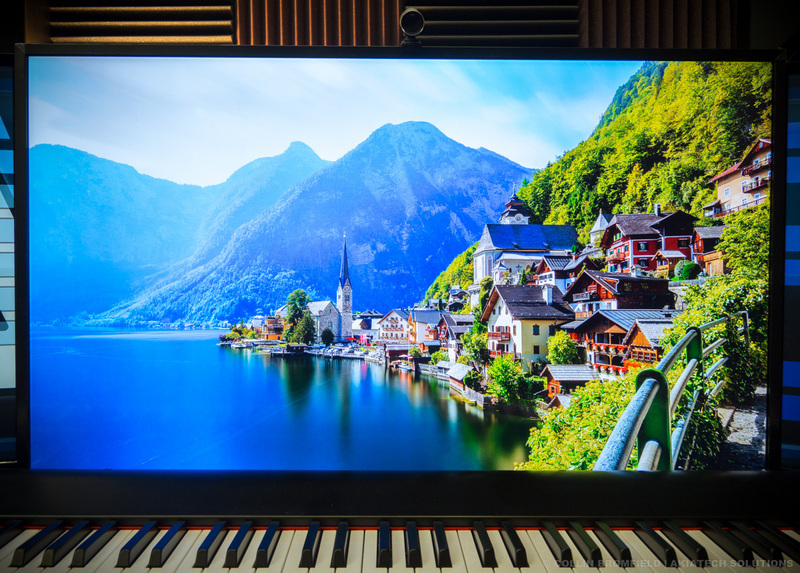 Quality monitors with a higher than Full HD resolution have been prohibitively expensive especially the much-lauded IPS panels. 4K! LoL, well until now. 4K is the new HD or should I say Ultra HD and today my friends, it just became affordable. The LG 43UJ6200 is a 42.5 Inch 60hz TV that can moonlight as a somewhat decent 4K monitor but make no mistake, this unit will probably not pass the pixel peeper test. On the other hand, if all you really want is some additional screen real-estate, this display will do it at an affordable price. The chassis of the display is built with a combination of metal and plastic and weighs in at about 20 pounds. The unit has 3 HDMI ports, 2 USB ports and features WiFi and wired connectivity via the built-in Ethernet port. It also has Optical out for the audio purists out there. If you’re planning on mounting the monitor on a wall or stand you have VESA 200 ready mounting holes on the back of the panel which should be compatible with a number of aftermarket mounts. The 43UJ6200 is a Smart TV and runs on LG’s WebOS 3.5 software. The interface is smooth, and the menus are well designed. Some of the elements seemed to not be 4K ready though as you could see some aliasing on the edges of some of the menu items. 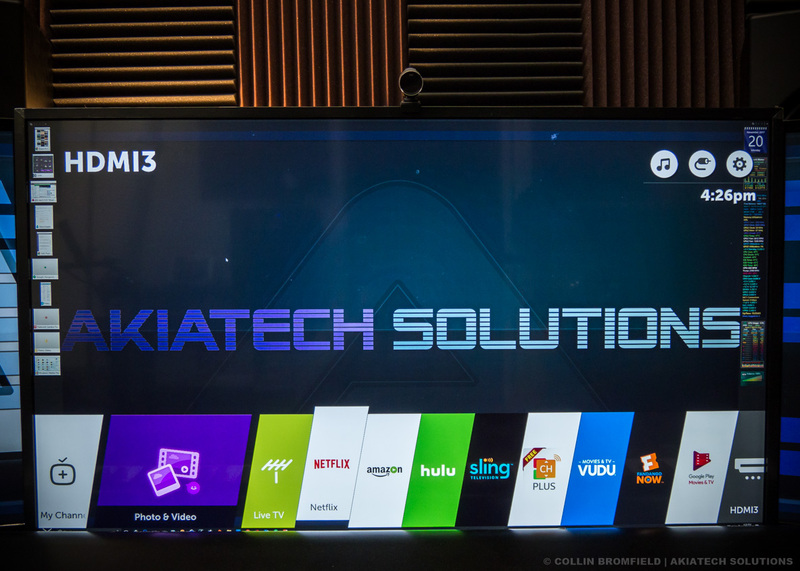 I’m mainly reviewing this display as a monitor, so I won’t go too much into the TV capabilities but if you do decide to use this unit for its intended purpose you won’t be disappointed. LG did an excellent job designing this TV and they seem to be releasing FW regularly to fix some minor annoyances that people may be experiencing. I personally haven’t had any issue with the unit yet aside from some image retention and minor input lag. The only other problem you may run into is that if you use this as a TV you’re going to need a Soundbar or External amp and speakers. If LG did cut any costs on this thing it would be in the sound department. There are a lot of nice sound related options in the menus, but the speakers do not output any Bass that I could hear. Midrange and highs were clear, and you can probably just add a sub using the RCA audio jack in the back to compensate for the nonexistent low end but your probably better off using an external amp and speakers. Connecting the TV to a computer is as easy as plugging the cable in and connecting to your HDMI Input. I highly recommend investing in a good Video Card because it will put a significant load on your GPU. I’ve noticed that some applications have trouble with the higher resolutions and seem a bit laggy when doing anything that requires hardware acceleration. I think this has more to do with drivers and UI design that the display itself but it’s something to look out for. This panel has native HDR10 support and although I understand why they would want to implement such a feature on a TV I don’t see any practical applications for it when using this unit as a monitor. Windows 10 does support the feature which can be enabled by turning on “Advanced Color” in the display menu so if it’s something you want to test out you have that option. Realistically though you won’t be able to do much with it on because it makes text almost unreadable and dims the display so much that you have to max out the brightness just to get it back to where you can actually see what’s happening on the screen. I tested this feature out on Mass Effect Andromeda which supports HDR10 and I could see where it could be good for seeing guys hiding out in dark corners or brightening up dark areas on high contrast scenes but honestly the same thing can be done by increasing the brightness and lowering the contrast. Overall the image quality is great. The display is not as sharp as a true 4K monitor designed for computers would be but bumping up the sharpness helped a little and also tweaking the ClearType settings. One thing I noticed with this panel that I was hoping I could remedy by calibrating the display is that the Yellows and greens are off. I don’t really know how to explain it but it seems that the display is incapable of properly reproducing the colors. 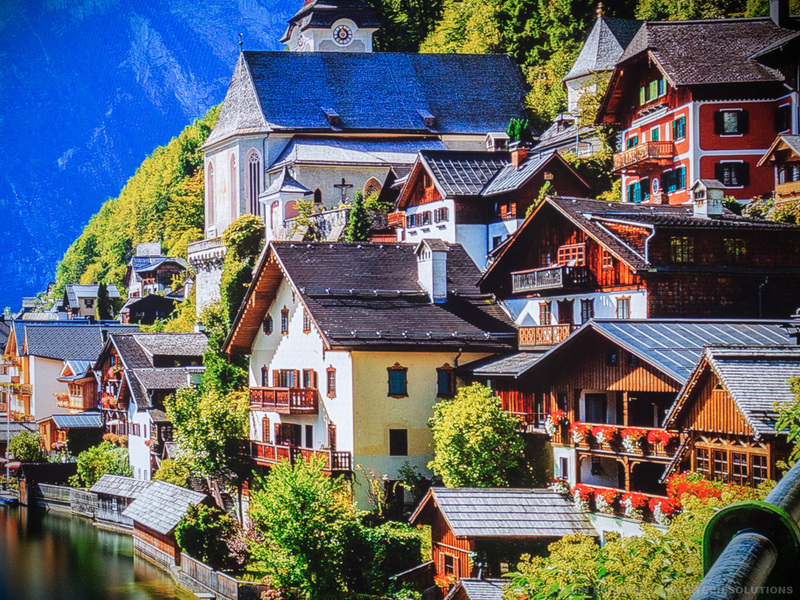 There is an Expert setting area in the Image menu that allows you to tweak individual color channels which did help but it threw off the color balance of the display. For some people, this may be okay but for anyone thinking about using this for Image or video editing, know that this limitation exists and compensate for it in your color settings or just avoid this display and get something actually designed for that purpose. The LG 43UJ6200 is a bargain for what you’re getting. Even if you pay the full retail price you’re still coming out ahead. I’ve been shopping around for 4K displays for a while now and have yet to come across a deal such as this. If you’re familiar with monitor hardware you probably know that LG makes a number of the OEM panels for Laptops and other Manufacturers displays. This is the reason that all my monitors are LG and I’ve had good experiences with the brand so far. If you want to get the most out of this display. I would suggest calibrating it. I bought a cheap Colormunki Smile from Amazon and used an Open Source application called DisplayCal to calibrate mine. The results have been pretty good so far and all my monitors look similar aside from the yellow and greens which are slightly off as I mentioned before. One thing I noticed on this unit that may not be public knowledge is that if you are a gamer and are willing to run the unit at a lower resolution you can actually access the full 120Hz refresh rate when using this TV at a resolution of 1080P. You may think that the image would look bad, but it doesn’t since the TV has 4K upscaling your games will still look good enough to play comfortably. I love this display so far and may eventually get another one in the future if they ever go on sale again.